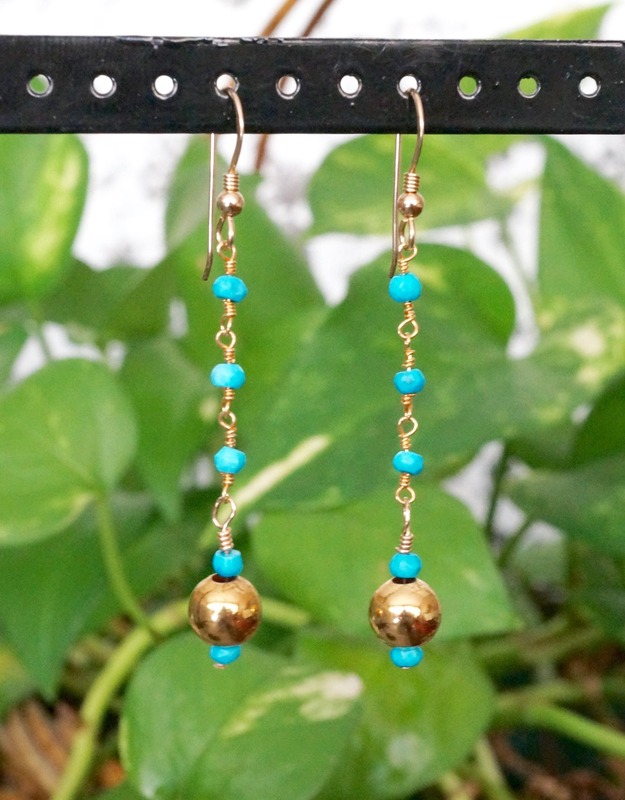 Here you have a turquoise and gold pair of drop earrings. 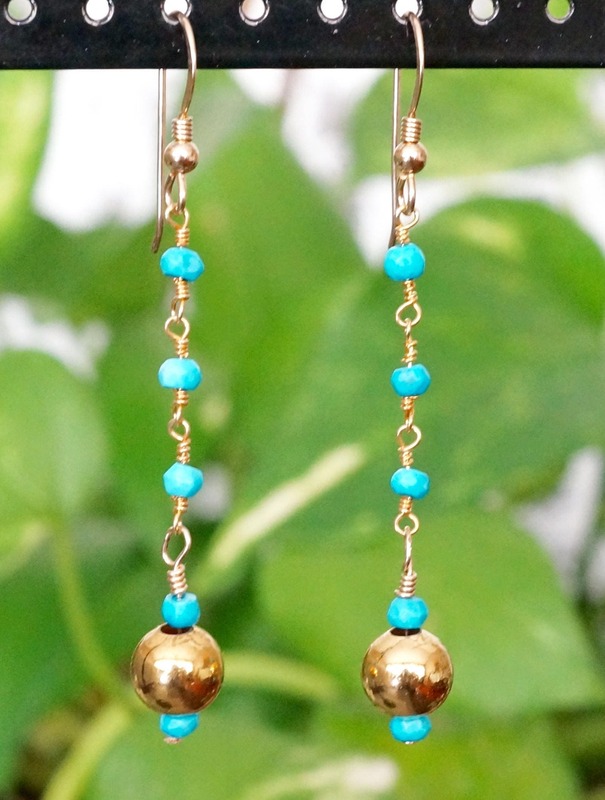 The rosary gold plated chain has genuine turquoise beads. 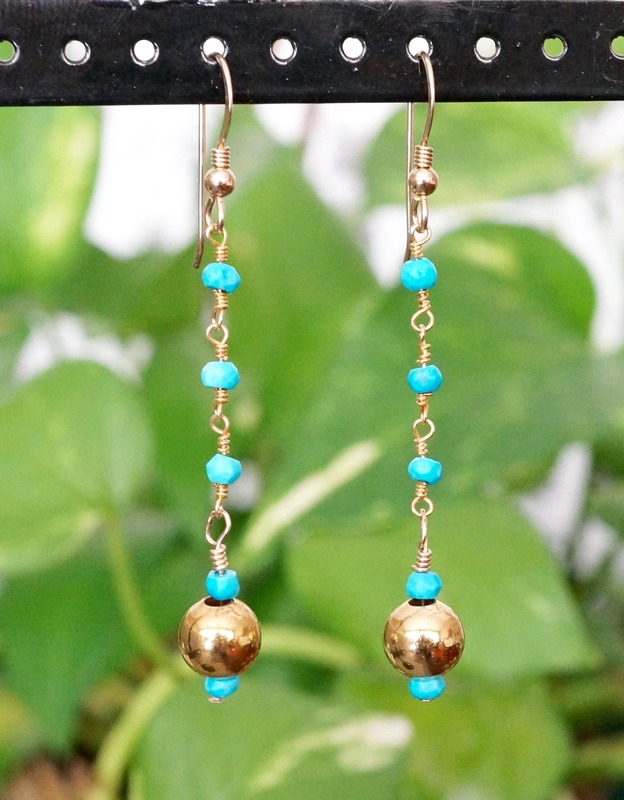 The bottom bead is gold filled, as well as the ear wire. It drops 2.25 inches. I can shorten them, at no extra cost. Just let me know before you make the purchase. Please know that these earrings are one of a kind pieces. I do not repeat the exact same designs. You will be the only one to own it! Nobody else. That is what makes my jewelry so exclusive.